Lots of innovative tech. Effortless to drive. Excellent ride quality. Luxurious interior. 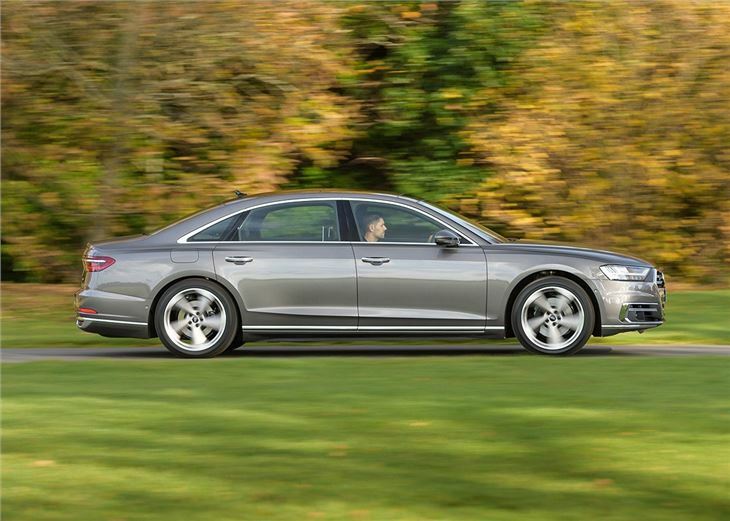 3.0-litre TFSI petrol is fast yet refined. Expensive. Anonymous looks. Petrol is thirsty. 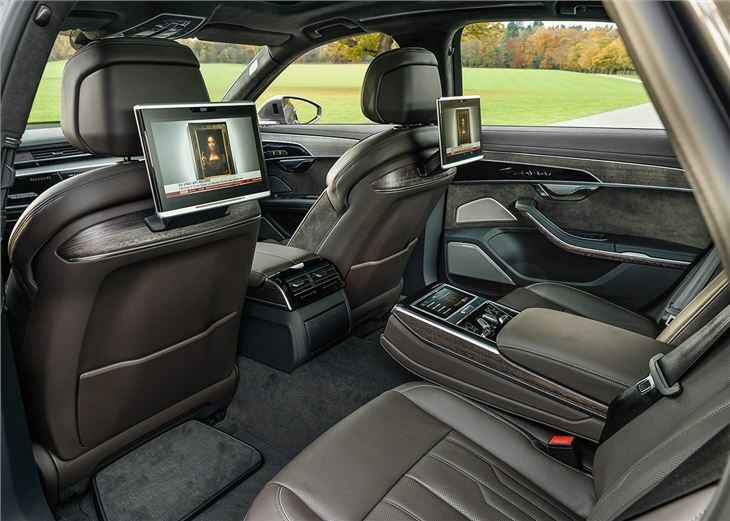 Sophisticated and packed with tech, the Audi A8 is a luxurious saloon that wouldn't look out of place in a James Bond movie while its autonomous driving capability and remote parking features providing a fascinating insight into what Audi has planned for its next-generation of everyday cars. 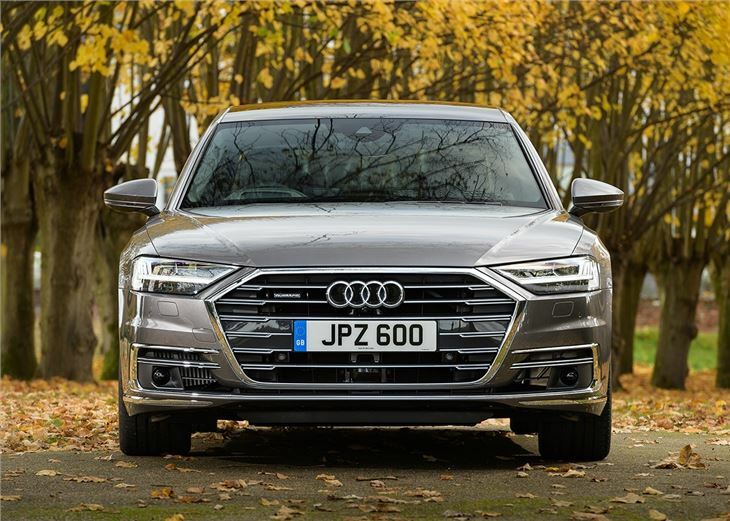 Like the BMW 7 Series and Mercedes-Benz S-Class, the Audi A8 is designed to waft VIPs, celebrities and well-heeled passengers from A to B in lavish style and comfort. The interior is beautifully finished, with high quality wood trims, smooth touchscreen controls and handstitched leather trims. 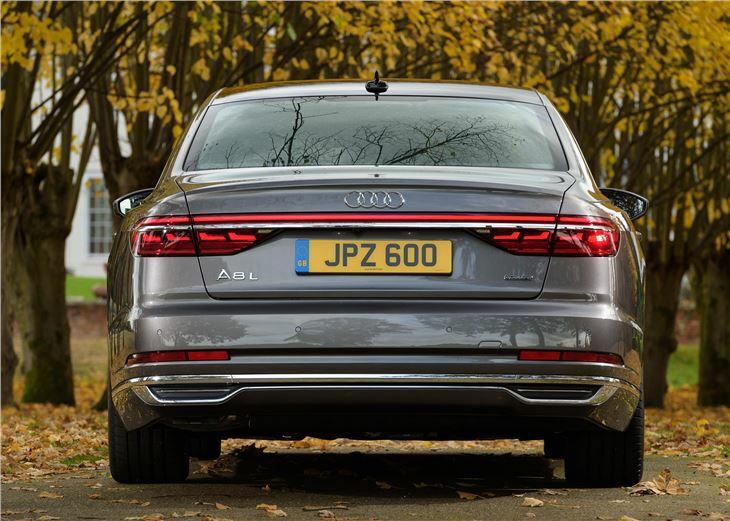 The A8 is enjoyed best as a passenger, with the large rear seats providing a near-silent sanctuary from the outside world. The leather materials wouldn't be amiss from an upmarket hotel lounge, while the wide and soft cushioning provides opulent comfort over long distance travel, especially when fitted with the massaging and heating functions. 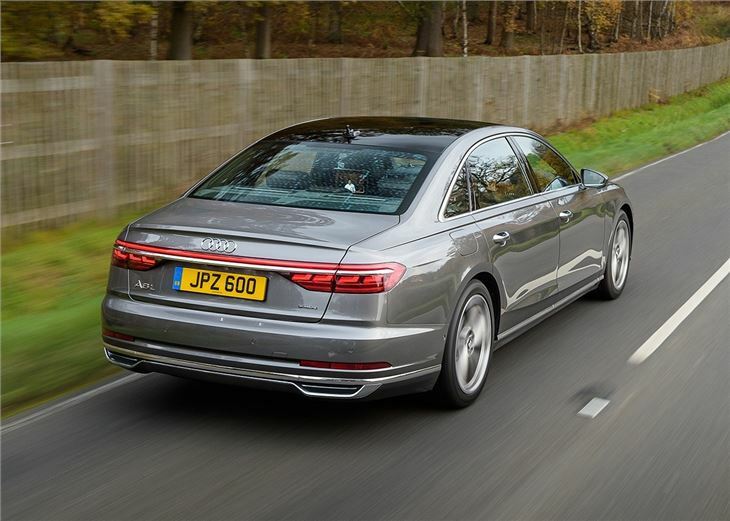 As well as providing more comfort, more interior space and a more rounded ride quality than before, the A8 also has some computerised party pieces up its sleeves. Audi AI traffic jam pilot, for example, allows the car to automatically control throttle and brakes responses, while also steering the car in nose-to-tail traffic up to speeds of 37mph. Autonomous driving isn’t the only fancy bit of next-gen tech. Active suspension independently raises and lowers individual wheels to give an impeccable ride quality over rough road surfaces and potholes, while all-wheel drive provides smooth and responsive handling. 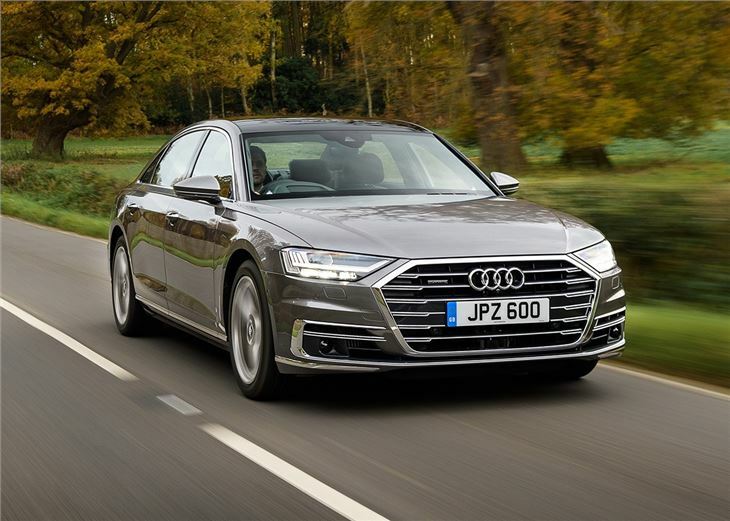 Indeed, despite measuring over five metres in length, the Audi A8 is a very good car to drive and its refined throttle and steering responses make it easy to get the most of its sophisticated running gear. Initially there were two engines – a 3.0-litre V6 TDI diesel and a 3.0 V6 TFSI petrol. Both use a 48-volt mild hybrid system to improve economy and provide a smooth, near-silent set away. A more-powerful V8 diesel and plug-in hybrid join in 2018. The exterior might not be as eye-catching as its rivals, but the understated design and plush interior give the Audi A8 an upmarket feel that nudges it ever closer to the leader of the limo-pack, the S-Class. The autonomous capability also gives an exciting preview of what Audi has in store for the next-generation A3 and A4, with the technology certain to filter down into the carmaker's everyday vehicles over the next few years.